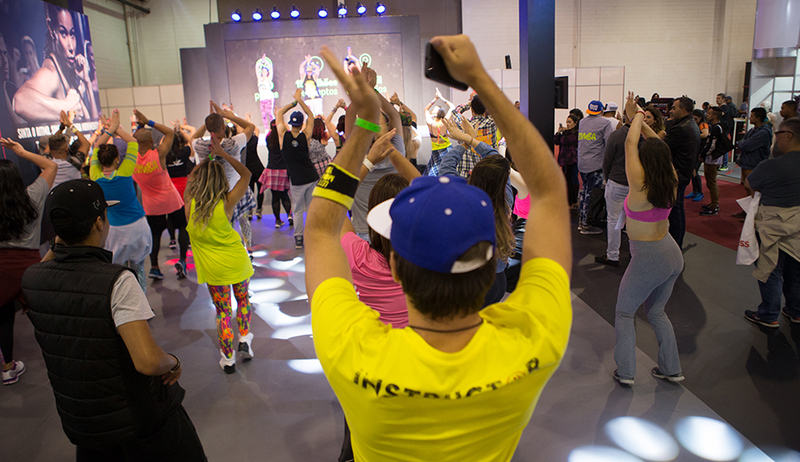 This is an IHRSA featured article, brought to you by SiriusXM. Your gym’s soundtrack is more important than you think. Music has played a part in the commercial fitness industry almost from the very beginning. 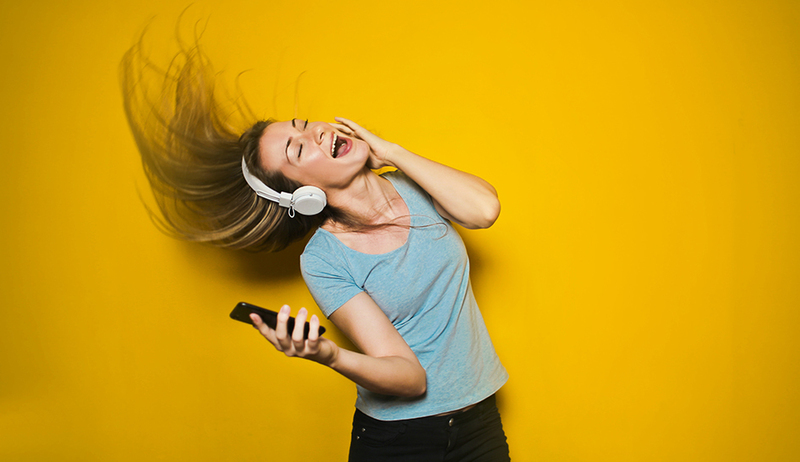 Whether playing in the background to set the proper mood for exercise or driving the action in a dance fitness class, music is part of the health club experience. With the rise of boutique clubs and small group training sessions that depend on propulsive, energizing tracks to increase intensity, music is more important than ever to the fitness industry. It makes sense. Music and human movement are intrinsically linked. Not only does a steady beat move the feet, but calming music has a pacifying effect that can lower stress and support recovery, especially in a spa setting. These effects persist in a health club setting. A Korean study that looked at exercisers in commercial gyms found that “stimulative” music was found to be more “psychologically helpful” to exercisers, but that “sedative” music also had its place, particularly in cooldowns and warmups. Women, in particular, are attracted to exercise programming that incorporates music. According to the IHRSA Health Club Business Handbook, 78% of women participate in some type of exercise class that is choreographed to music, the second highest exercise preference for women (first is Pilates at 83%). While a lot of exercisers rely on their own personal electronic devices to tune into their own workout playlist, health clubs still provide music through video screens or speaker systems that play throughout the club. That’s in addition to individual classes that have their own music priorities. Providing a soundtrack for your club and class settings isn’t as straightforward as streaming a Spotify playlist or plugging your iPhone into your speaker system. Gym owners have many responsibilities when it comes to managing their clubs. A simple, turnkey solution makes for seamless delivery of overhead music as you need it to be. As a club owner or manager, you have a lot of things on your plate. And sure, you can take the easy route and play a radio or television station over your loudspeakers. But with that, you get all of the chatter and blaring ads that go with it (including commercials from your competition). Or you run the risk of an inappropriate song blaring loudly throughout your club. You need to be in control of your music since it’s an integral part of your customer engagement strategy. The last thing you need to worry about is creating a daily playlist, or switching out business messages between songs on the fly. A proper in-club music solution ensures that you have all your bases covered. Licensed music, access to a spectrum of commercial-free channels to suit your members’ needs, and managing your radios in-house or remotely, are all benefits that can make your job easier. Incorporating the right messaging with your overhead music can serve several purposes, including the promotion of club specials, introducing new membership features, or even highlighting the opening of a new fitness center. Inserting your customer commercials to play when you want, and as often as you want, will help to influence your members’ next move. And with day-parting capabilities, you can program the channels and messages you want to play for specific hours to match the traffic at your club. Music and human movement are intrinsically tied. With so many genres and variations of music to choose from, you need a resource that will give you a menu of music styles that fit your brand, club demographics, and exercise programming. Your best bet is to turn to a professional service that provides music for commercial businesses. One growing favorite in the fitness community is SiriusXM. A pioneer in satellite radio, SiriusXM has created a business division that supplies fitness facilities with musical playlists that are as wide-ranging as you’d expect from their satellite offerings. SiriusXM’s business division has multiple options, including classic rock, country, alternative rock, EDM, hip-hop, light jazz, disco, decade-specific music (e.g., 1980s channel, ‘90s channel), and others. They offer packages for boutiques, single-owner clubs, and multi-purpose chains. All of their music playlists are fully licensed and ready to go. SiriusXM reps help you choose the right channels for your facility, whether you have a high-energy Zumba clientele or more of a laid-back Senior Sneakers membership. Music as a motivating force is important for any type of health club. Contact SiriusXM via their website or call 800-684-7050 for a 30-day free trial of their business music services to learn how they can keep you rocking while covering your liabilities in licensing regulations. How a health club manages sound makes, or breaks, the member experience. We asked noise experts for their best solutions.